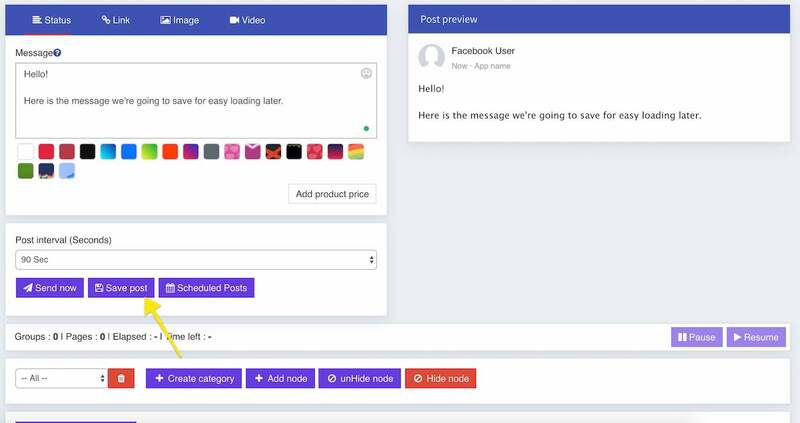 MaherPost is designed to be a complete automated solution for your Facebook posting needs, And that also includes saving your message data as well so you can easily load them next time! We have completely automated each and everything so you sit back and let MaherPost do its work. So here’s the guide on how to Save your messages/links/pictures data and how to load them and how to edit them. Let’s start. 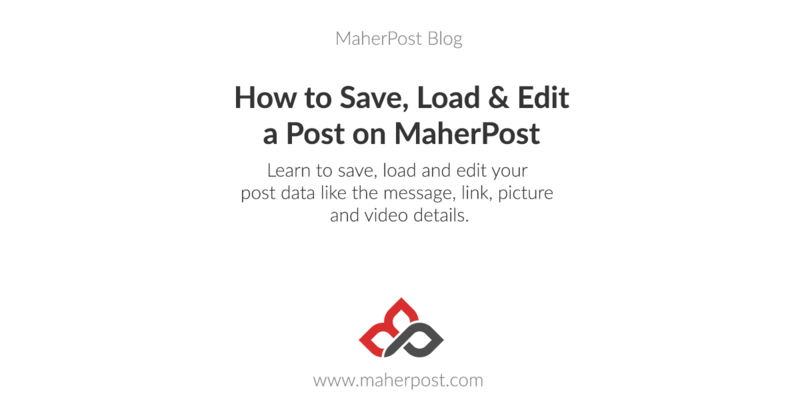 Saving a post with MaherPost is really easy. You enter all your data like messages, links, pictures you want to save to database for posting later, And click Save post button as shown in the image below. To load your saved post, Go to Publishing > Saved Posts page. You can see all your saved posts here. Just click on any post you wish to load and it’ll load it for you instantly. If you want to make changes to a saved post and update it, First, Load the post as described in the method above, Once you have done that, you’ll see the main dashboard with your loaded post data. Make any changes you wish to do and click the Update Post button as shown below. It’ll update your post data. And that’s about it!